A free source of information and inspiration about pregnancy, natural birth, home birth, cloth diapering, breastfeeding, cosleeping, gentle discipline, babywearing, natural health care, organics, being in Nature with young children, attachment parenting, and many other aspects of mindful parenting. Check back regularly because we're always posting new articles! 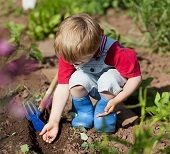 Home Grown Kids: Magical Seeds - Garden seeds are magical to children, and a great way to get them interested in gardening, and for them to learn about Nature. Read more. 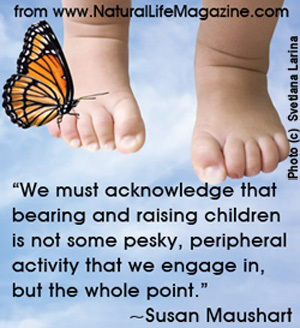 Quotes About Natural Parenting - Check out our curated selection of quotes about the importance of conscious parenting for children and the world. Read more. Safe Sleep, Sustainable Slumber - Claims by the mattress industry could be tricking you into thinking you are buying an organic mattress for your child. Read more. Your Vegetarian Baby - As a new parent who avoids meat, you might wonder if your child can follow your diet. 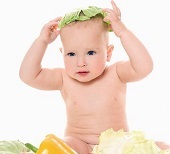 Here are tips for bringing up a veggie baby. Read more. 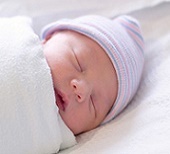 Eight Reasons Not to Swaddle Your Newborn - Swaddling your baby can lead to emotional, physical, and developmental problems, and more. Read more. 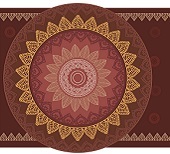 Translating Tradition - South Asian postpartum healing methods, including extended rest and nourishing food, can be borrowed for the benefit of all. Read more.